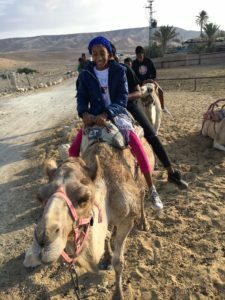 The students learned that camels are important to the Bedouin community. 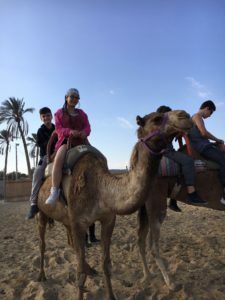 Camels are considered the “ship of the dessert” as they are able to survive long periods without water. 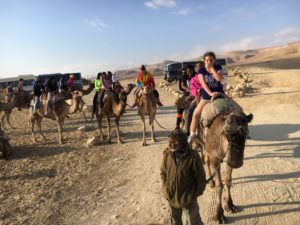 The Bedouins also use the camel to do “Aliyah” (going up) to Mecca. 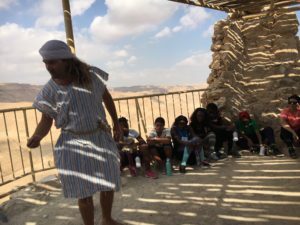 The students learned that it takes 3 months to get there. 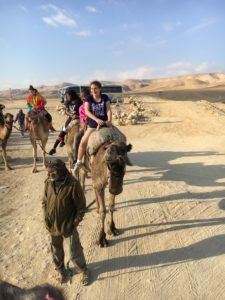 In the morning the students had a blast riding camels in the Negev! 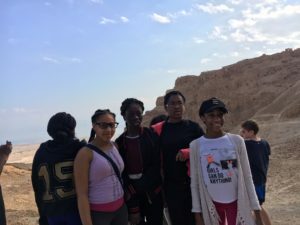 Next, they climbed Masada and heard the story of the courageous battle with the Romans! 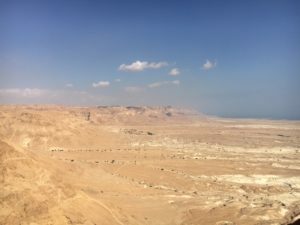 Stay tuned for Part 2 – Our students most long awaited activity on the trip – Visiting the Dead Sea!